You'll be £19.99 closer to your next £10.00 credit when you purchase The Sword of Rome. What's this? Marcellus' military exploits were largely unmatched by any other aristocrat of Roman Middle Republic. As a young soldier in the First Punic War, he won a reputation for his skill in single combat. In his first consulship, he earned a triumph for defeating a Gallic tribe, no small feat in and of itself, and also slew the Gallic chieftain Britomartus in single combat. Consequently, he earned the spolia opima, an honor, according to Roman antiquarians, that had only been earned twice before, once by Romulus himself. He went on to defeat the hitherto-invincible Hannibal in a small battle around the central Italian city of Nola, and subsequently led an army to subdue and plunder the powerful city of Syracuse in an epic 2 year siege (despite the ingenius defensive measures of the inventor Archimedes). Yet, despite his undeniable success as a warrior and commander, Marcellus met with considerable political opposition at Rome. Marcellus' career not only makes exciting reading, but gives an excellent vantage point from which to view the military and political struggles of the period and the role of military successes in the aristocratic culture of the Roman Republic. His biography will be an important addition to existing works on Roman military history. 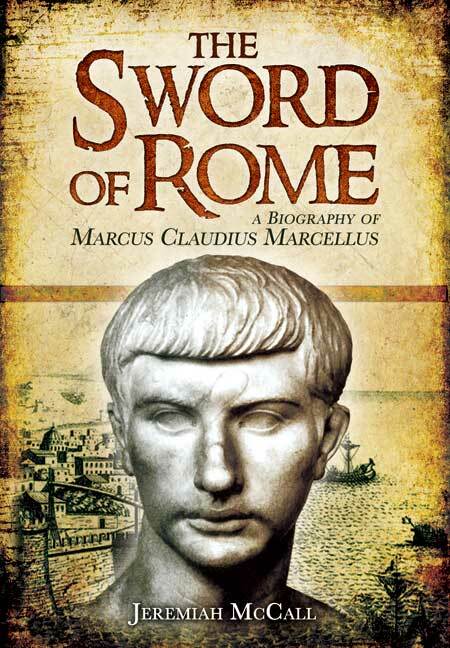 In this first modern biography of Marcellus, classicist and wargamer McCall has produced a carefully researched, very readable account of the man's life and career, fitting him within his times. The book gives us not only a look at the man's life but considerable insights into the society in which he lived. 'The Sword of Rome' is a valuable contribution to the literature on Roman generalship and on military leadership. Marcellus is a veritable archetype of the Roman aristocrat who attains power through the use of military success. Roman politics are never glanced over and are an important part of the book, but the meat of the biography tends to focus on his campaigns and subsequently on how he exploited his successes.